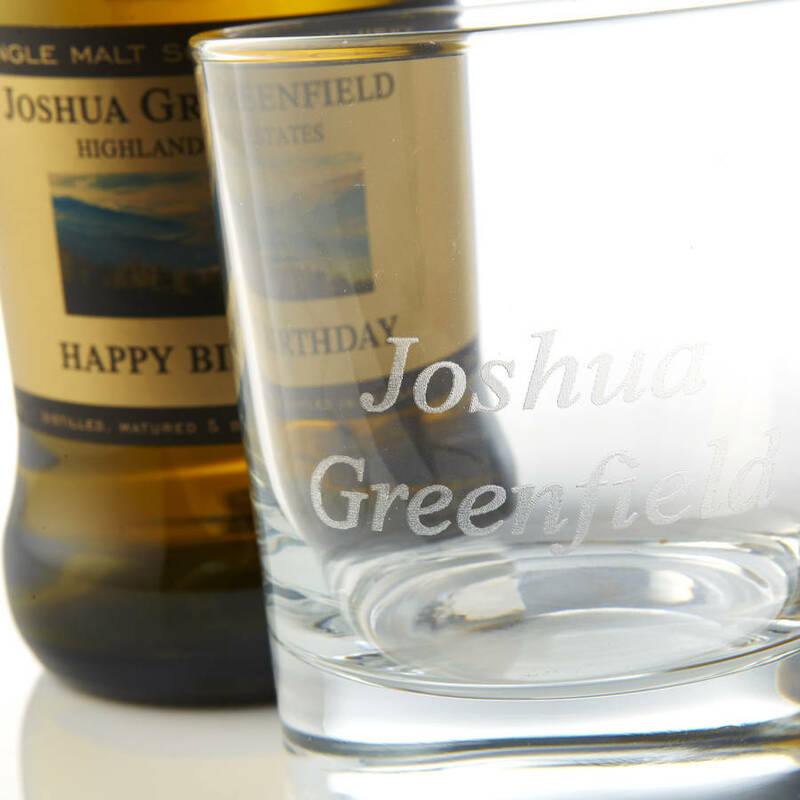 A fine single malt, personalised not only on the label but on the tumbler as well! This classic single Malt is distilled from Scotland's finest ingredients and carefully matured in the finest oak casks for the perfect harmony of flavour and aroma. 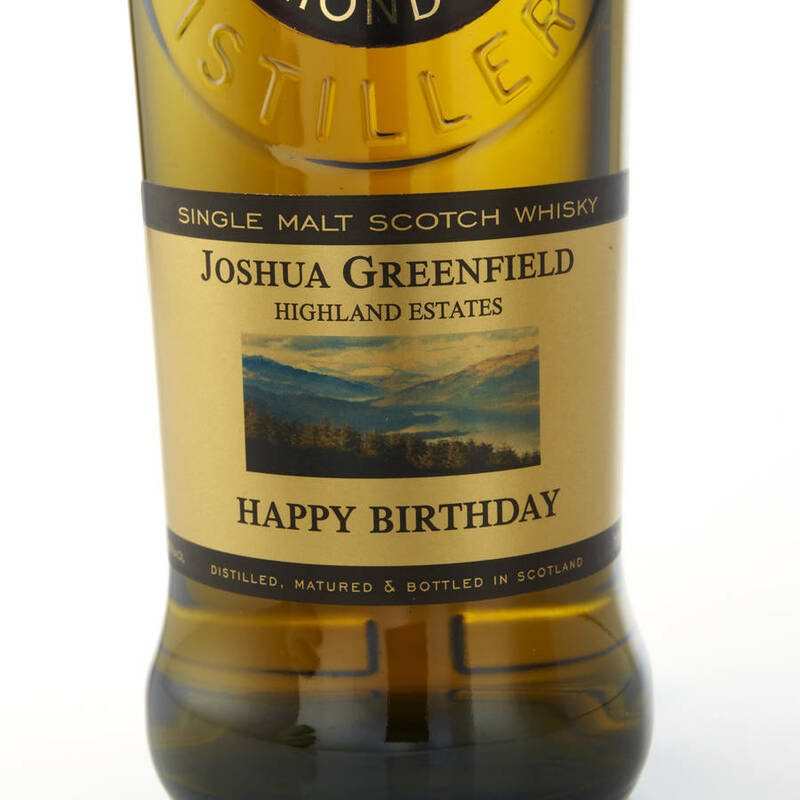 The result is an elegant and full bodied whisky with a smoothness making it exceptionally easy to drink. The bottle label carries your own 'distillery' label. Stuck for ideas this year - then stop worrying. 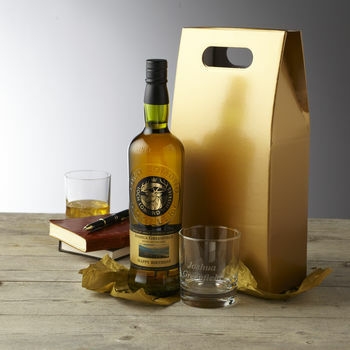 Simply order this gift and sit back and watch as he realises he now has his very 'own' malt whisky. Please state the full name only for the tumbler personalisation in the option menu provided (right), up to 30 characters. Alc 40% Vol 70cl. You must be over 18 to purchase this product. Please drink sensibly at all times. This product is dispatched to you by Intervino.